Emergency Communications - Emergency Alert and Notification for Emergency Alerts and Community Warnings. 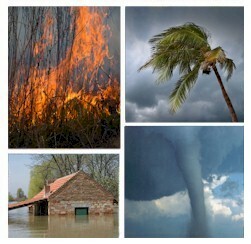 This section of our technical library presents articles written about Emergency Alert Systems and Disaster Recovery definitions, terms and related information. The 911Broadcast emergency notification and alert service can deliver a large number of phone calls using a network of phone systems employing digital phone lines simultaneously. Should a disaster such as a snow storm, wild fire or flood hit your area, 911Broadcast systems can alert your community quickly providing specific instructions if an evacuation is required. This service is available using our emergency broadcasting systems. If a dangerous chemical spill occurs in your community, you can target specific areas to call. If a severe snow storm hits your area, your community can be notified of school closings or event cancellations. A national report issued today calls attention to serious weaknesses in the nation's emergency preparedness infrastructure that compromise the safety and security of 28 million Americans who are deaf or hard of hearing. The report, "Emergency Preparedness and Emergency Communication Access: Lessons Learned Since 9/11 and Recommendations" is the work of the Deaf and Hard of Hearing Consumer Advocacy Network (DHHCAN), a coalition of 16 national organizations of, by, and for deaf, hard of hearing, late-deafened and deaf-blind individuals, and the Northern Virginia Resource Center for Deaf and Hard of Hearing Persons (NVRC), a regional education and advocacy center with headquarters in Fairfax, VA.
One top priority identified by the report is the need for an effective system to receive emergency information that does not depend on the ability to hear. A second priority calls for active involvement of individuals who are deaf, hard of hearing, late-deafened and deaf-blind in emergency planning processes, equipment testing, disaster exercises, training of public safety and security personnel, and community volunteer activities such as the Citizen Corps. Recommendations to address these and other priorities are intended to build a national network. This network would have a knowledge bank of individuals and organizations to offer technical assistance, research, education, training, planning, advice and consultation, and development of model programs and services to tackle a wide range of needs. "The Emergency Preparedness and Emergency Communication Access report represents an extensive summary of personal experiences by individuals who are deaf and hard of hearing on the fateful day of September 11, 2001 and thereafter under different circumstances," said Claude Stout, Chair of DHHCAN. "We urge policymakers, technical innovators, and first responders to take heed of the recommendations in the report, and initiate action to fully involve all stakeholders in the processes of preparing for, coping with, and recovering from natural and man-made disasters," he said. "We are deeply grateful to Cheryl Heppner for her exemplary contributions in leadership and authorship, and over 2,000 individuals around the country who offered their testimonies as material for this report". Hearing loss has a major impact on communication in emergencies because it is impossible to depend on auditory information. Sirens, shouted warnings, calls from rescue workers trying to locate people in rubble, knocks on doors to give urgent information, quick phone calls to give a heads-up about a developing situation, radios, public address systems - all can be useless. Captioning of television and Internet news and coverage for text messages is not a given. Without effective systems, deaf and hard of hearing individuals do not know that there is an emergency, cannot learn what steps must be taken to protect themselves and others, and have no access to critical resources in the aftermath of an emergency. Developing an effective emergency communication system for individuals who are deaf and hard of hearing will help everyone. In an emergency, many people with no hearing loss have difficulty hearing. The combination of stress and noise such as high winds, explosions, screams, or the roaring of a fire can make it impossible to hear well. Other weaknesses identified in the nation's emergency preparedness planning make it imperative for quick action to ensure that individuals who are deaf, hard of hearing, late-deafened and deaf-blind are actively involved in community, regional, state, and federal emergency planning processes, equipment testing, disaster exercises, Community Emergency Response Team trainings, Citizen Corps activities, training of public safety and security personnel, and other activities. The involvement of individuals who are deaf, hard of hearing, late-deafened and deaf-blind will tap into their tremendous talents and quickly help to increase understanding of their needs in a wide variety of areas. Emergency planners are setting up systems across the U.S. that do not take into account the unique needs of individuals who are deaf, hard of hearing, late-deafened and deaf-blind. History has repeatedly shown that redesigning and adapting equipment, programs and services without taking these needs into account is almost always more expensive and rarely as effective. Telecommunications for the Deaf Inc.
For a text version, contact cheppner@nvrc.org. Established in 1993, DHHCAN serves as the national coalition of organizations representing the interests for deaf and/or hard of hearing citizens in public policy and legislative issues relating to rights, quality of life, equal access, and self-representation. DHHCAN also provides a forum for proactive discussion on issues of importance and movement toward universal, barrier-free access with emphasis on quality, certification and standards. DSC systems allow you to initiate an emergency broadcast using several methods. Because emergencies can arise at any hour of the day or night, we have provided these multiple techniques so that you are not required to staff a center 24 by 7. Emergency Control Center - DSC provides an Emergency Control Center PC interface to our phone systems that manages one emergency phone dialer or an entire network of dialers. Our emergency control program runs either on your local dialer or on the network where your dialer resides. This program lets you download phone lists and emergency phone messages and initiate the emergeny broadcast. This program likewise lets you configure your network or emergency dialers and produces reports on the performance of your system or network. Web Based Control Center - Our web based emergency notification system lets you access a web page for managing and activating emergency broadcasts. After entering a secure user id and password, you can download phone lists and recorded emergency messages. Using a menu selection, you can select any phone list/message combination to be broadcast online and initiate the emergency alert. Phone Activated Emergency Dialing - If you are not able to access the internet and use our web based emergency dialing interface, we allow you to initiate an emergency phone campaign using a simple touchphone into our phone system. After properly validating your account id and password, the phone system lets you select a pre-recorded messsage (or record one while you are on the phone). It then prompts you to identify the list of phone numbers to be called (previously maintained under your account). Finally this phone program will let you listen to the message to be sent and inform you of the size of the list of numbers to be called as a final check. 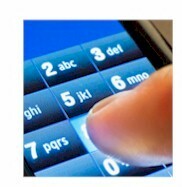 If everything is ok, then pressing a touchphone key activates the calling program. Computer Activated Dialing - Our emergency notification network also supports computer and web connectivity using XML technology. Thus, emergency communication can be initiated from your website or computer by automatically sending our emergency phone system a message containing a list of one or more phone numbers and a message to be sent to these individuals. The message can be text (which is automatically converted to voice) or a voice file. For further information, visit our Emergency XML messaging web page.